Life insurance for those in their 50s or 60s may be more expensive than a policy for someone younger—say in their 30s. However, there are still plenty of choices available to you. The right choice of a life insurance policy will depend on what you want it to do for you. There are several types of life insurance policies to choose from, and here is a brief run-down of some of the types and what they do for you. Term Life Insurance: Term life insurance is available in terms of a specific number of years (usually available in increments of five years ranging from 10- to 30-year terms). Term life insurance tends to be more affordable than other types of life insurance, such as whole life insurance, and is ideal for seniors who are in relatively good health and want an affordable premium. The premiums remain consistent throughout the term of the policy. If you die during the policy term, your beneficiaries would receive the death benefit of the value of your policy. However, should you die after the term expires, your beneficiaries do not receive a death benefit. Some term life insurance policies have the option to convert to a whole life insurance policy at the end of the policy term, so that is an option to consider. Guaranteed Universal Life Insurance: Guaranteed universal life insurance offers a guaranteed death benefit similar to whole life insurance, but has premiums that are more affordable than a whole life policy. You can choose the age you want the coverage to end or you can continue the policy to last your entire lifetime. Premiums are consistent throughout the life of the policy. The guaranteed life policy may be ideal for seniors who want to leave a legacy to beneficiaries and to help pay for final expenses but who are also on a budget and seeking a more affordable life insurance premium. Whole Life Insurance: Whole life insurance is just as it sounds—it lasts for your whole life. Premiums remain the same each year, and the policy pays out a death benefit after you die to your beneficiaries. There is another attractive feature of many whole life insurance policies in that there is a cash value you can borrow against to help pay for things such as health expenses for a major illness. Whole life insurance is more expensive than term life and guaranteed universal life, but there is more comprehensive coverage. One thing to keep in mind, if you borrow against the value of the policy, your death benefit is reduced by the amount of the loan. Universal Life Insurance: Universal life is a lifetime policy that accumulates a cash value. The cash value available is based on the performance of investments. If the investments underperform, your insurance premium could increase. You can borrow against the policy, but any outstanding loan will be deducted from the death benefit. This policy is more of a risk than the other types of life insurance policies for seniors and is also more expensive. However, if the investments do well, you can build up a significant cash value. For seniors looking to invest, it could be an option to consider. Final Expense Insurance: Final expense insurance is a way to give your loved ones peace of mind. The death benefit can be used to cover the cost of any final medical expenses and funeral costs. The final expense policy is available in a wide range of terms, from as low as a $5,000 benefit to a $50,000 benefit. Almost anyone can qualify to purchase a final expense insurance policy regardless of age or health. Keep in mind what your goal for having a life insurance policy is when making comparisons of available life insurance policies for seniors. 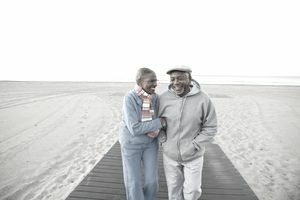 We did some research and came up with these five life insurance policies as some of the best choices available to seniors. The term life insurance policy from New York Life is available in terms of five to 20 years and is also a policy that accumulates cash value. If you decide you want to extend your coverage, you have the option to convert to a permanent life insurance policy once the policy term ends. The death benefit is tax-free. You can add coverage to a term life policy from New York Life by adding riders for accidental death, children’s insurance, chronic care, disability waiver of premium, and living benefits. This term life insurance offers affordable premiums and has many policy options available to seniors. The guaranteed universal life insurance policy from Mutual of Omaha offers cash value accumulation and flexibility. You can adjust your premium payments and increase the death benefit amount. The death benefit is tax-free, and you can also access a portion of your death benefits if you have a chronic or terminal illness. The death benefit is guaranteed either for a specific amount of time you chose or for your entire lifetime. The whole life insurance policy offered by MassMutual offers a guaranteed death benefit for your entire lifetime. There is a cash value that accumulates and can be accessed at times when you need it most, such as for a supplemental retirement income, medical expenses, or other emergencies. Even though the MassMutual policy does not guarantee dividends, the company has paid out dividends to policyholders who are eligible every year since 1969, so you may get the benefit of receiving dividend payments without having to purchase a policy designed to pay dividends on investment returns. John Hancock’s universal life insurance policy offers lifetime protection and grows in cash accumulation value. You can customize both the frequency and amount of payments, so it is an excellent choice for seniors seeking a universal life insurance policy with flexible payments. The cash value grows based on a credited interest rate return on investments and can change. You can borrow against your death benefit, and any outstanding loan will be deducted from the death benefit if the loan is not paid back before you die. Transamerica offers three final expense policies for seniors: immediate policy, 10-pay policy, and easy policy. The policy can be paid for in full or over terms of 10 payments. There is no waiting period for coverage to begin, and the premium does not increase as you grow older. You may qualify for a final expense insurance policy through Transamerica regardless of age and health conditions. Policies are available for individuals up to age 85. There are no medical exams required, and there are optional riders to add coverage which vary based on your state of residence.